Now that Governor Babtunde Fashola has concluded that the next phase of the ‘remodelling Lagos project’ is the eradication of commercial motorcycles from the streets of Lagos, the debate about whether he actually is a hero or villain inevitably resurfaces. In all honesty, no one doubts that at the core of his being, Fashola means well for the generality of Lagosians, but his tactics have been called to question time and time again. Who will forget his decision to banish street beggars and crippled folks from Lagos to Ibadan and Ota? Who will forget his audacious mission to eradicate street hawkers and wealthy agberos from Oshodi? Who will forget his one-man show on the BRT-lane earlier this year, singlehandedly arresting an errant uniformed military man? Whether he did these things for popularity’s sake or whether he genuinely perceives himself as an upholder of decency, the appropriateness of his strategy remains a debated issue among Lagosians. After five and a half years of governing Lagos, Fashola must have learned a thing or two about the resistance of Lagosians to change; even change coming from a much admired Governor. In 2008, when the inevitable decision was made to close down a section of the Third Mainland Bridge to facilitate the long-overdue repairs on the city’s most relevant highway, the hue and cry from Lagosians was heard as far away as Maiduguri. And so, on this occasion of the announcement of the ban on commercial motorcycles, no one is surprised that the cries are heard far across the Atlantic Ocean and at the uttermost parts of the earth. 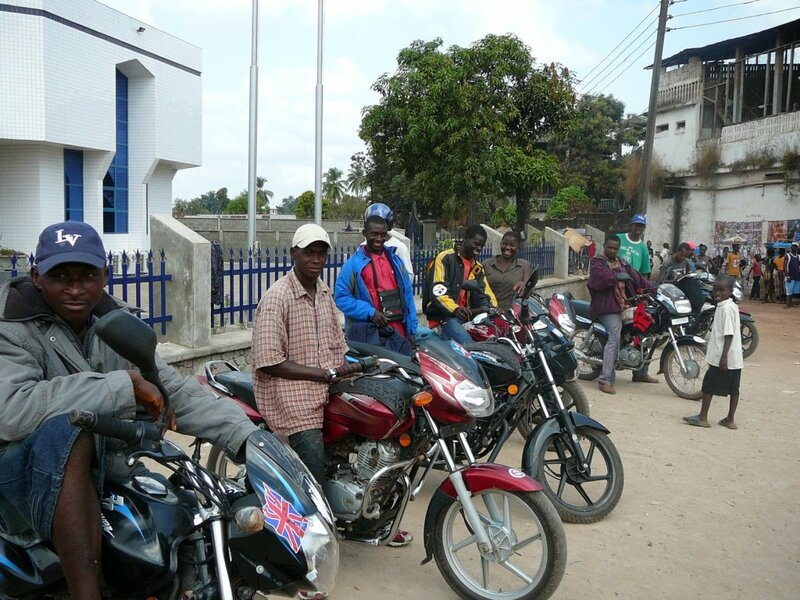 For one, bikes are the main drivers of the Lagos economy. Not that I can claim to be an expert on anything Lagos, but my forays in the City of Excellence provide me ample material to discuss the influential role that bikes play in keeping the city awake. In May 2007, I made a bold move from the sleepy city of Ibadan to the bustling metropolis of Lagos to work as a reporter with The Guardian Newspapers. Moving between my residence at Gbagada and my workplace at Isolo was the least of my worries – two transits on those noisy yellow jalopies called buses was sufficient to get me to and from work, but those were not significant concerns. More often than not, there would be a conference to attend at Bourdillion road in Ikoyi, or at Akin Adesola Street in Victoria Island, or somewhere in Omole Phase II. How on earth was a Lagos novice with no GPS system and no personal car expected to know where these places were or how to get there? That was the power of the Okada. All you had to do was give an address to the often illiterate Hausa lad who rode the bike, and away you went, praying for the safety of the bike, the rider, your legs and your head. This was my routine every day for four months. In June 2008, I returned to Lagos, this time to work as a Corporate Communications intern at Bi-Courtney Aviation Services Ltd., domiciled at the beautiful newly-launched Murtala Muhammed II airport. Once again, I appeared to be in luck as I found residence at Oregun, only about twenty minutes away from the airport, but again accommodation was not a major concern. On an average day, leaving home an hour before work commenced at 8am meant that I had to be about thirty minutes late for work because of the impossibly slow pace of traffic on the by-pass leading to the ‘Ikeja under-bridge’ flyover that connected the airport to the rest of the city. My saving grace was the bike. Even though I was so frustrated by the N100 fare price that I had to give up everyday between Ikeja under-bridge´ and the airport (a five minute ride), it was a worthy price to pay to avoid being late to work. I recall several occasions when I rode past my bosses in their fancy Toyota RAV-4 SUVs on my way to work. Pretending to be on the phone was my escape route from having to prove that I was quite impoverished at the time. However, neither flying a bike to work everyday, nor dashing off to catch an urgent appointment on the Island from Oregun was significant proof to me that Lagos bikes were ordained by God to save the rich and the poor from untold tears. It was my encounter on the 1st of July 2010 that proved to me that countless dreams will be aborted in their infancy without commercial bike riders in Lagos. The entire day seemed to play out like a movie script written by James Cameron. I was scheduled to travel to Moscow to attend the 8-day International Youth Forum hosted by the Russian Government. For some weird reason, after a highly intriguing process of commuting between Ibadan-Lagos-Abuja and back to Lagos within 36 frantic hours, I received my Russian visa early in the morning of Thursday July 1, 2010. By noon, I had successfully withdrawn the N160, 000 needed to purchase my flight ticket, plus some extra change to buy myself some Russian mugs and pens as souvenirs for my expanding fan club. By 2:00pm, the ticket was purchased and I was on my way home on the campus of the University of Ibadan to slap together some clothes into my suitcase. It was a brief trip so it was easy to plan. My flight was scheduled to take off from Lagos at 9:00pm, so leaving Ibadan at 5:00pm wasn’t an absolutely bad idea – I would have at least two hours to check in and buy myself a Coke. True to expectation, I was approaching Ikeja by 6:45pm, enjoying the ambience of the Peugeot 406 that conveyed me to Lagos. My dad was seated all by himself at the back, reading the day’s papers; I sat tensely in the passenger’s seat while the dutiful driver kept his mouth sealed. For almost three hours. Night slowly fell as we snaked through the 7up junction at Ilupeju through the streets of Ikeja at actual snail speed. I had never spent 90 minutes covering a 500-metre space. My frustration was blasting its way through the roof. I shifted in my seat repeatedly. By 8:15pm, I turned in my seat and told my dad that it seemed as if I would have to retrieve my suitcase from the boot and get on a bike. He said it wasn’t really necessary and that traffic would pick up. I wasn’t convinced. 10 minutes later, we were still somewhere around Computer Village and I knew that if I didn’t find my way out of that car, I had just tossed about N200, 000 in the air. I slowly opened the door, picked my single suitcase out of the boot, told my dad that I’ll take care of myself in Moscow and flagged down the next bike. Within seconds, the faces in front of me blurred as the bike man took me on the fastest motorcycle ride of my life. All I could think of was whether or not the check-in counter will still be open at the Turkish Airlines booth. I saw several people lined up all the way to the airport with several suitcases on the road beside them; several hundreds of stranded passengers who were not as privileged as I was to have single suitcases. At about 8:42 pm, I jumped off the bike, handed the rider a N1000 bill and sprinted for the Departure wing of the airport. I saw the lady close the check-in ramp, and I screamed at the top of my lungs “Wait!” She did. I was checked in within seconds, cleared security and immigration in about five minutes and dashed for the entrance of the aircraft. I caught my breath as I found my seat, said a quick prayer as I fastened my seat belt and sent a text message to my dad: “I made it. Safe trip back home”. What would I have done without that Okada? How would I have explained the fact that I missed my important flight because of some freak accident that caused an unimaginable traffic jam? How would I have passed up the opportunity to meet the Russian President, Dimitri Medvedev because there were no bikes in Lagos? Now, I know that there are several good health and environmental reasons why bikes have to be eradicated from the streets of Lagos, but my mind always goes back to that eventful evening in 2010 every time I hear an argument for the extinction of commercial motorcycles in Lagos. If not for that Okada, what would I have done that evening? Thanks Faith, although I think the piece isn’t ended! Although I am not given to bikes myself (I bare a mark on my elbow & knees from an accident, yet without it I would have missed my admission into the University),so I know it saves & kills! We don’t have good roads and a good transportation system to eradicate Bikes. I hurts also that it means, one can not own a bike for personal use…must everyone use a car? Should it be now that the Third Mainland Bridge has rush hours that this should be introduced? How about bring your bikes to your local govt for Tri-cycles and pay instalmentally? Is sandfilling the beach for sale to top officials more important than repairing Ajegunle roads, Ikotun/Isolo roads, Mushin roads, Badagry roads…? A taxi driver could reject 10,000naira, even on a holiday when the roads are less crammed&jammed!.. Remodelling a state is for what purpose…. Create a better atmosphere for wealthy class to feel comfortable? Good & Wonderful Intentions, perhaps Bad Understanding, definitely Worse Timing! Nice one! I agree bikes have saved countless jobs and several contracts from being lost! A great piece Faith. To every story there is always the other side, most people would have at least a good tale of okada experience to share but the bad one seems most tines to overshadow it once it happens. A quick to trip the emergency wards of most hospitals would give proper understanding of what an Okada accident looks like. Banning may not be the best option but my opinion is if you or anyone has a better way out please suggest. Okadas are not evil- the riders sometimes try some dare-devil moves that even a blind man would frown at. Motorcycles are a cheap and fast way to get from Point A to Point B if they riders are careful enough but the riders, sadly, especially those from northern Nigeria, see the need to get the passenger to the destination without regard for safety. It’s almost as if they have absolutely no regard for life or they believe they are immune to accidents. I had to get physical on one in Kano after my pleas for safety turned to threats but all fell on deaf ears- he stopped before my destination and I promptly jumped off. In Minna, I was involved in a minor bike accident and was lucky to escape with only a swollen knee and a bruised shin. I remember a wailing patient who was brought into the hospital, losing a lot of blood and as I was asking what caused the accident, someone came in shouting in Yoruba ‘this is it, this is his leg….’ He was a bike rider whose leg had been traumatically amputated by a car. There are dozens of other evils perpertrated by bike riders- kidnappings and robberies, to mention two. That said, bikes have ensured that I have made appointments and flights I would otherwise have missed if they had been unavailable. So what’s the solution? Banning them? No. Perhaps, regulating their activities may help- ‘riding schools’, licensing and bike registration, punitive measures for those who ride dangerously and of course, the roads must be fixed too so that they, and of course cars, do not need to avoid pot-holes. I wonder what is happening to the crime rate in Lagos with thousands of young men left idle…..